The previous hit mockumentary film of the same name, brainchild of the brilliantly irreverent Jemaine Clement and Taika Waititi, is coming to FX as a TV Series! 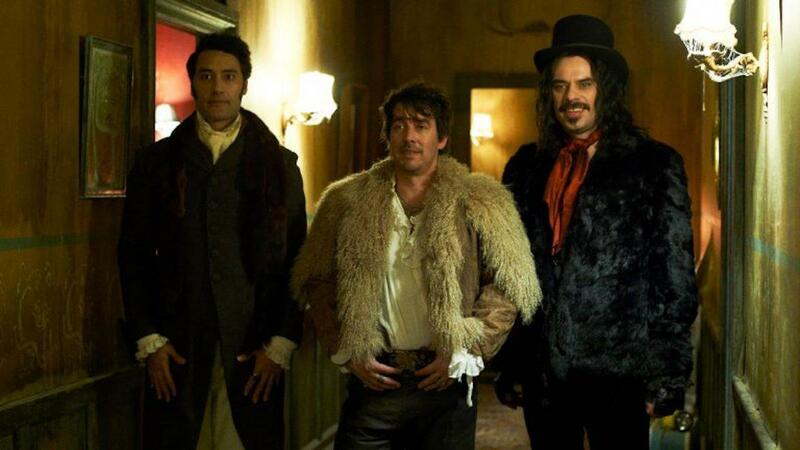 The original film of What We Do in the Shadows revolved around four vampire housemates, two of whom were played by Clement and Waititi themselves, just trying to rub along together despite their varying temperaments, original time-periods and attitudes to torture and killing. This time there is a bit of a change up in characters. The press release describes the new housemates. Comprising the bloodthirsty crew will be ‘Nandor the Relentless’ from the Ottoman Empire (Kayvan Novak), British dandy vampire ‘Laszlo’(Matt Berry), and his seductive partner in crime ‘Nadja’ (Natasia Demetriou). Also making appearances will be Beanie Feldstein, following up her unforgettable performance in Lady Bird, as Nadja’s new friend ‘Jenna’, Harvey Guillén as ‘Guillermo’, Nandor’s familiar, and Mark Protsch as ‘Colin Robinson’.